We met at a monthly disco for people with learning disabilities. We were friends first, and saw each other a few times at social activities. Katy says ‘I was at the bar when Steve came over and asked if he could buy me a drink. We started chatting. Later on we had a dance together’. A few weeks later we met again at a group meal out. ‘I was really happy to see her again’ says Steve. We sat together, chatting and laughing. At a charity ball in 2010 we got engaged. Steve explains ‘I had bought a ring for Katy and had planned the whole thing. I knew that this would be the perfect time to propose. I asked them to stop the music and I asked Katy there, in front of everyone. There were about 100 people there. I was really nervous’. We got married a year later in 2011. We had a church wedding and a reception party. ‘My sister was my maid of honour. Her and Mum helped us plan the wedding. They helped us with the paperwork and marriage licence too. We would have found it very hard to do without their help’ explains Katy. After the wedding we went on honeymoon to Butlins in Minehead. It was just the two of us and we were all inclusive. It was really nice. We had a great time and I loved being called Mrs Owens. Steve then moved into Katy’s house. 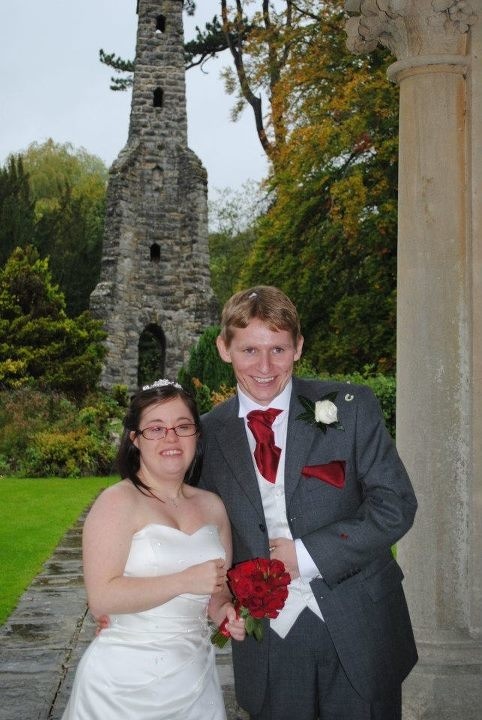 ‘We decided to wait until after the wedding as we felt it was the right thing to do’ says Steve. We’re very happy together. We are a typical couple really. We both work. We take it in turns to cook and clean. ‘Steve goes to football one night a week so I relax and watch the soaps’ says Katy. Apart from that we do most things together. We’ve had a lot of support of people and many people have congratulated us and wished us well. Being married is wonderful.